"'I paint and sculpt to get a grip on reality... to protect myself.'" "All the art of the past rises up before me, the art of all ages and all civilizations, everything becomes simultaneous, as if space had replaced time. Memories of works of art blend with affective memories, with my work, with my whole life.” - Alberto Giacometti Alberto Giacometti may not be as familiar to audiences as Picasso or Salvador Dali, but in the world of art he is a name of high in regard and is studied by students throughout the world. Known for his influence amongst surrealists and existentialists, he best known for his artistic depiction of the human form. Specifically, his sculptures that continue to demand multi-million dollar bids at auction. Not unlike other artists, he ventured into various mediums of expressing his art. Final Portrait is the arduous process of how Alberto completed one of his last paintings. Stanley Tucci wrote and directed this biopic of a brief portion of the famed artists final works. The time was 1964 and American author and art-lover, James Lord (Armie Hammer), enthusiastically agreed to sit for a portrait, because the promise was that it would only take a few days. As the artistic process begins, he comes to the reality that Giacometti (Geoffrey Rush) works in a different time continuum and the process is going to take more time. Throughout the sessions, Lord gets pulled into the bizarre stratosphere of the world-renowned artist. Like the multiple layers of paint on the canvas, the young American can see the multiple layers that influence and inspire the mind of the creative genius. Geoffrey Rush has made a career of portraying geniuses from various fields of study and art. His ability to transform himself into each of his characterizes a marvel and could be taken for granted because of the mastery he has developed in the world of thespians. It does not take much study of the famous sculptor to see that Rush has once again managed to show his magical ability to embody another man’s life. What makes this work is the canvas that Tucci has provided for his subjects, which provides them with the maddening atmosphere of an artist’s life to show their performances. This film was an obvious passion project for the actor-turned-director. The detail and respect that Tucci takes to show the brief time in the world of this artistic master are almost as comprehensive and laborious as the painter's imaginative process. 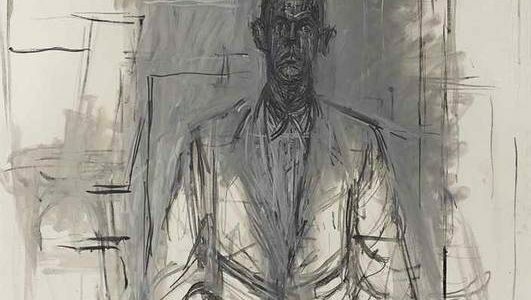 This passion affords a balance of the drama that surrounded Giacometti’s personal life and his erratic manner, which keeps this from becoming exceptionally tedious. Surrounding Rush’s performance is a colorful palette of actors who play bit parts, but they add the necessary accents for a more robust film. The depth of story is delivered by Armie Hammer who shows that he can hold his own against a master of the craft and Tony Shalhoub is brilliantly subtle as Alberto’s brother, Diego. Clémence Poésy is captivating as the young prostitute and muse of the artistic maestro, but it is Sylvie Testud’s work as Annette Giacometti that adds the melancholic beauty to the whole production. 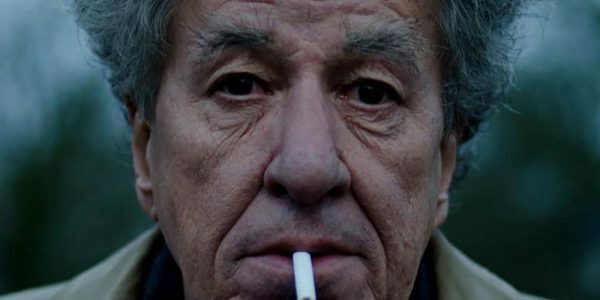 Final Portrait is like a beautiful painting in the local museum that needs to be experienced and revisited to appreciate its charm truly. Meant for the artistic souls who not only love the art and the artist, but the whole procedure that goes into the act of creating.